Kingston/Spanish Town/ Port Royal - Barrett Adventures the Real Jamaican Adventures. For an urban adventure, Jamaican style, you may customize your trip according to your interests. 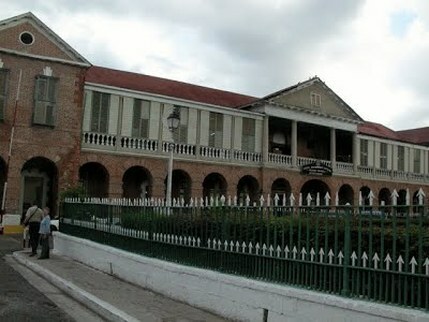 Spanish Town boasts some attractive colonial architecture and an intriguing museum. In Port Royal, one can almost see the pirates still lurking in the rum bars of old. Walk where Lord Horatio Nelson used to pace and look out to sea from Fort Charles, snorkel over the sunken city, or take a boat to the nearby frigate bird or pelican sanctuary. Lime Cay is only a ten minute boat ride from Morgan's Harbour. You go past Rackham Cay where the famous pirate Calico Jack Rackham was hung out in one of those little cages to die.